If you have an ecommerce website then you should try and ensure your site is set up in such a way that you can easy advertise additional products. If for example you are selling electronic equipment then you should have an area come up that shows other products that they may be interested in. This may be batteries or cables etc. You may be surprised by how many additional products you cans ell in this way. Even if a customer knows that they can get the add-on item slightly cheaper elsewhere, they may just buy it from you because you have made it more convenient to do so. Another way to upsell is by offering free delivery when you spend over a certain amount. You may want to add banners to your site that state free delivery when you spend x amount but also adding a message to the checkout page telling customers if they spend x amount more they qualify for free delivery. All these subtle little messages and ways of displaying additional products can make a huge difference in your overall sales and profitability. Some sites show an area which displays other products people bought when purchasing that one. These products may or may not be linked to the purchase, but this is just another way of showcasing products. When it comes to marketing your website you will often hear the terms on-page or off-page. This may often be confusing at first but our easy guide below gives you an over view of what you need to know for both. On-page optimisation is when you make changes on a page or pages within your site (such as updating the content, changing the meta data, adding links) or by adding new pages to your site. It may be that you add a blog or that you optimisation the content on a page in include more keywords. On page optimisation also includes adding XML site maps and robots.txt files to your website in order to get the site indexed quicker and correctly. 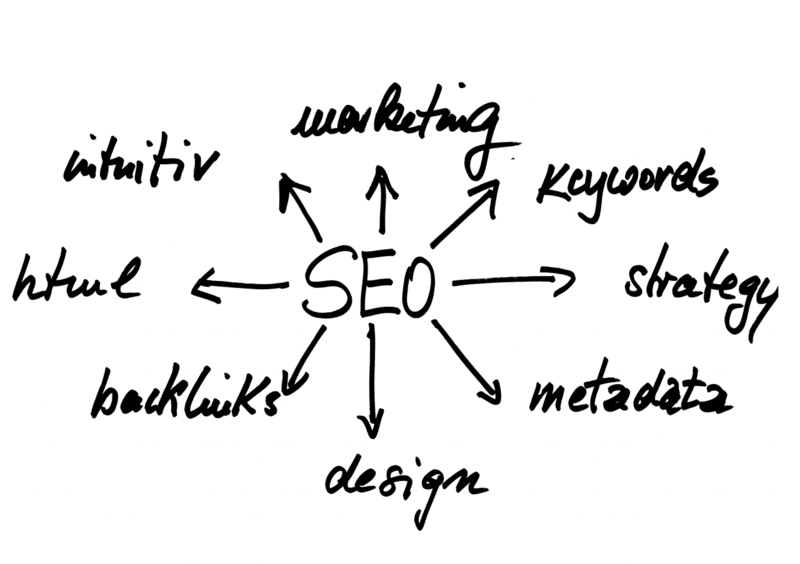 On-page optimisation is done to improve the rankings on the search engines. Off-page optimisation is techniques that are used off the actual site to improve the websites traffic and rankings. This may include building up external links to your site, creating blogs and comments on other sites, social media interaction, uploading videos to sites such as YouTube and PPC campaigns. A combination of on page and off page optimisation is best when you are looking to get the most out of your website. When having a website created you need to consider how you want it to look along with the functionality that will be involved in building the site. You should think carefully about the colour ways you want to use. These colours should match your company branding. Where you position your logo and the main navigation of the site is also crucial. You may want to go with the traditional layout of a website or you may opt for something a little more quirky. Knowing what works on a website can be hard for the inexperienced but if you work with a design agency, they should be able to advise you what works and what doesn’t. Try and not get too personal with a website, as after all, it’s not all about what you like but what your visitors want. Most website designers will give you a number of visuals that you can look through and decide which one best suits the website you require for your business. Be sure you are completely happy with the design before you sign it off for programming as changes made at a later date will often incur an additional charge. Risky marketing strategies… do they pay off? When it comes to marketing many companies are on the lookout for a quick fix. Marketing can take time and money and you may have to do it for a good few months to see any results. Business owners can become impatient and want instant results and where as there are some legit marketing avenues that can give quick results there are also some that promise the world and fail to deliver. Often people get sucked in to emails they receive or adverts they see that promise them number one spots in the organic listings on Google etc. within a week. The people making these sorts of claims cannot promise to deliver as the only people that have a say on where you rank is the search engine giants like Google that use a confidential algorithm to determine the order of search results. Spending money with these types of companies may end up boosting your search engine rankings but if you are being promised something that there is no certainty of then you should proceed with caution. There are still a lot of black hat techniques been used today by companies to try and cheat the ranking system. These may work for a while but you almost always get caught out and if you are blacklisted it can take a very long time to recover and find yourself up with the top search results again. Before proceeding with a new marketing company, do not be afraid to ask them the types of techniques they are going to be using and the benefit this will have. If you are in doubt of the techniques they have mentioned then it is important to clarify if there are any risks involved in doing so. If you are undergoing a review of your website and the keywords you are targeting then you need to think carefully about how relevant your keywords are and if they are going to generate enough traffic. Some people go only for generic phrases which attract a lot of visitors but also take a lot to get ranked for. If your site is relatively new or a small website you may struggle to rank above some of your competitors for generic phrases. You may wish to target more specific phrases such as long tail phrases or ones that are less searched for as these are easier to rank for and will get you high quality traffic. If for example you offer bespoke bedroom furniture then rather than just targeting bedroom furniture you may wish to target bespoke bedroom furniture or bespoke bedroom designers. You may also want to target specific locations rather than the whole of the UK. This is especially important when using paid for Ads such as Google Adwords or Facebook Ads as you only want your ad shown to people that live in areas you can offer your products or services to.